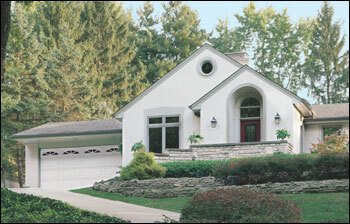 We feature Wayne Dalton quality doors. 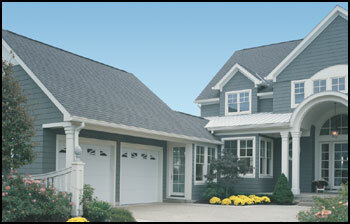 Visit Wayne Dalton's Design Center today and start customizing your very own garage door today! When you are done you can e-mail us your results so that we can get you affordable prices. In Mt. Hope Ohio, Amish craftsmen hand-build some of the finest wood garage doors in the world expressly for your home. The Wayne-Dalton Series 7000 doors combine the convenience of standard sectional garage doors with the classic swing-open appearance and detailing of carriage house wood doors. In Mt. 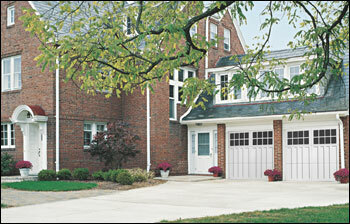 Hope Ohio, Amish craftsmen hand-build some of the finest wood garage doors in the world expressly for your home. The Wayne-Dalton Series 7000 doors combine the classic swing-open appearance and detailing of carriage house wood doors with the convenience of standard sectional garage doors. 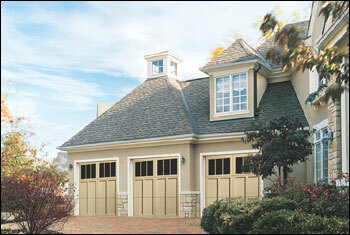 7100 Model Garage Doors Affordable Carriage House Look. A custom look with many of the quality features found in our top-of-the-line doors. Framing of Model 7100 doors is kiln-dried hemlock with rounded edges. Panels are smooth mahogany with shiplap interlock between sections. All sufraces are primed for paint. We've got what you need. If you have a separate garage or one accessed from an alley, you'll probably want our most basic, uninsulated panel door like our Model 8000. However, if your garage faces the street or if you need insulation value, you should consider a Model 8300 door, complete with windows and panel design to enhance the look of your home.